And he only just turned five! I can’t remember, but doesn’t that just seem so early? where the new teeth come in rows behind the baby teeth. Scary. 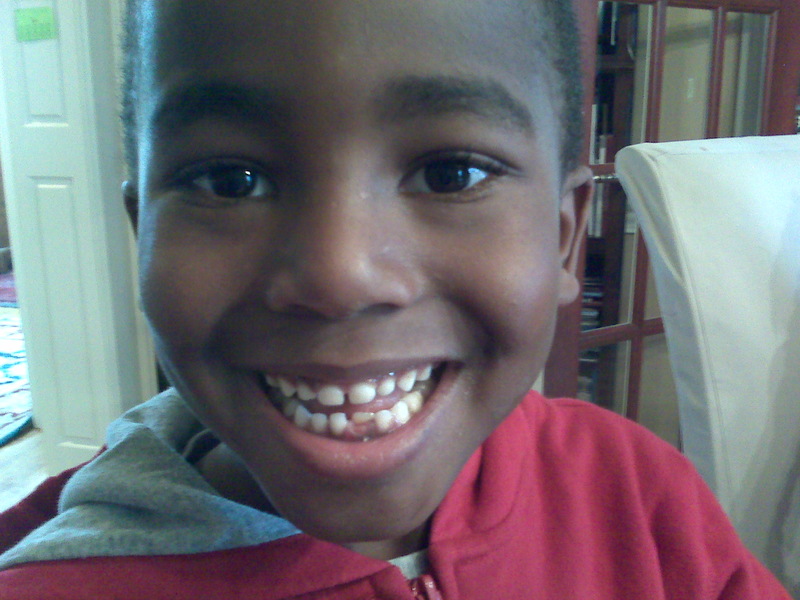 Oh, but the pride of losing a first tooth: big stuff! And our relief at finally being able to pull it, after dangling from that gummy thread? BIG stuff! We love your snaggly, shark tooth smile! This entry was posted in family life by coffeemom. Bookmark the permalink. >So cute. You must love that smile. >Awww sweet! As a mother of 6, I’ve experienced like you, that first tooth coming and going. Bitter sweet, eh? I too have a 7 year old with ‘shark’ teeth, did not know that that is what it is called. NOTE: While blog-hoping today, I forgot to go to my own dentist appointment! sigh.